This is Mrs. DeVito’s sixth year teaching Kindergarten at Divine Wisdom Catholic Academy. She has her undergraduate degree from Iona College and received her Masters in Elementary Education from CUNY Brooklyn College. 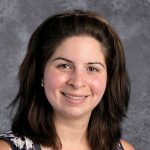 Mrs. DeVito believes in creating a safe and nurturing environment for all of her students to reach their full potential. Welcome to Kindergarten!